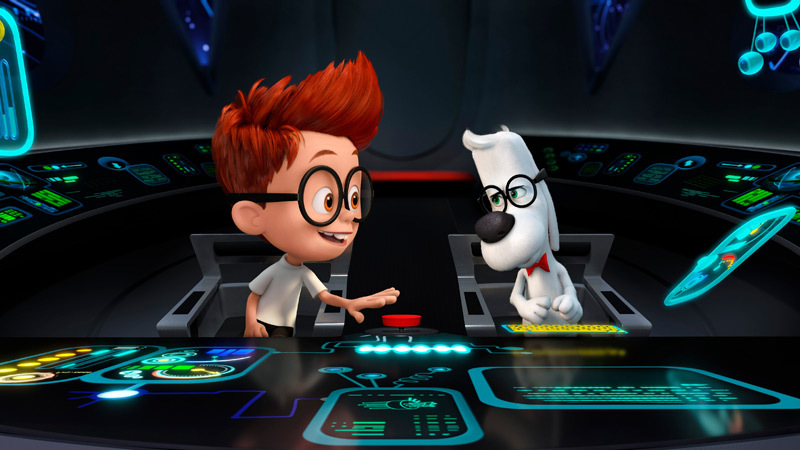 Dreamworks Animation released the first set of stills from their upcoming feature film Mr. Peabody & Sherman in a recent article in USA Today. Cartoon Brew reprinted the images as well. The film (about a time-traveling dog and his young human assistant) is of course based on the original series of short cartoons that was part of The Rocky & Bullwinkle Show. This new CGI version is directed by Rob Minkoff (he of The Lion King and the Stuart Little movies), and it’s set for release in March of 2014. 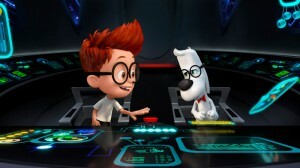 There had been rumors going around for some time that the Mr. Peabody movie was going to be done live action, with a real kid playing Sherman and Mr. Peabody being a CGI-enhanced real dog. That idea did not go over very well with classic animation fans, but fortunately it turns out that Dreamworks is making it much more traditionally — just with a computer. The still looks nice, and I hope its a great movie. But I have my doubts, I still groan what Hollywood did with Underdog.